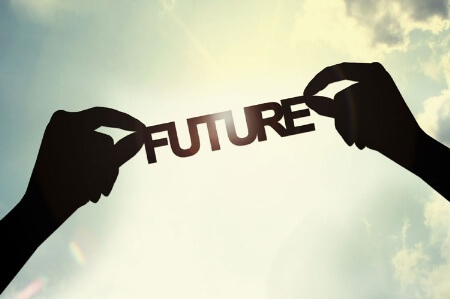 What can Translators Expect in the Future? Home: Translation Industry Trends: What can Translators Expect in the Future? Tech Comm specialist, Stefan Gentz, summed up some of the translation challenges for the future at the 2015 Institute of Translation and Interpreting Conference. Translation has gone global and this can be seen clearly by the volume of translation services that are online these days. It is expected that before the next decade has finished most translation will be cloud based. Clients expect translations to be done quickly so that means NAATI translators have to adapt to new technology and use it in order to meet client demands.faster translation. Clients expect the costs of their professional translation services to drop considerably so that they can get their translations done in a cost effective manner especially as the volume of words needing translations often top hundreds of thousands of words and the costs could be prohibitive if they are not lowered from their current rate. Translators need to take on technology more than ever before so that they can meet the requirements for providing cost-effective translations that match their clients content requirements. Each day, data reaching 3 trillion gigabytes is produced, offering endless opportunities for eager translators, but human translators have been slow to respond. Microsoft and Google have taken the largest chunk of the translator market. Google can translate more words a minute than the total of all human translators yearly. Global business would not exist without translations, so the human translation world has to take on this challenge and not sit back and later wonder what happened. This is the time for human translators to stop worrying about quality and focus on offering a similar service to Microsoft and Google. Machine translations are getting better and better and it is expected within the next 10 years to be at least as good as human translations. Gurdeep Pall, the vice president of Microsoft’s corporate sector, believes that translation facilities should be freely available at no cost. With the way the access to“Freebies” are just about the norm, such as Facebook and Gmail, there is no telling how far Microsoft and Google are prepared to go when machine translations become as good or even better than human translators, rapidly becoming the norm. The way that the human translation services market could capitalise on trends now and into the future using current machine translation technology is to develop business models that offer various grades of service ranging from free translations through to a standard translation and a more superior premium translation. This will expose translators to all the different possibilities of earning an income from their skills.